First on your list should be where you can find work. I see so many people saying that they had their heart set on a particular city, but that state is not an option for them, or they’ve been offered a job somewhere else. Don’t get hung up on cities. If your main goal is to live a safe life in Australia, just come. Go wherever your visa allows, or wherever you can get a job. If you’re offered a job before you arrive, TAKE IT! So many people dream of getting a job offer to move to Australia so what are you waiting for? Grab that opportunity with both hands and don’t look back. 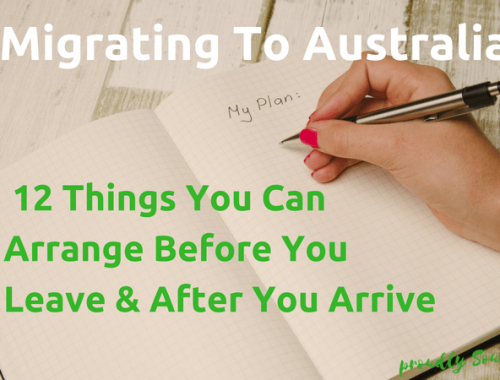 You can always move within Australia once you are here and know you are here to stay, but getting that all important first start is immensely helpful. Once you’ve worked out where you might get work, look at housing options and costs. Where you can afford to live will largely depend on your earning potential. Housing websites like Real Estate and Domain are super helpful as they show you want it costs to rent property in different areas. Search for apartments, houses or rural properties in your desired areas and work out if you’ll actually be able to afford to live there. If you’ve got kids that will be in school or university, education options may be a deciding factor for you as well. But honestly, there are great schools all over Australia. I’m sure you’ll be able to find schools that align with your values no matter where in Australia you end up living. Read my blog on the main similarities and differences between the Australian and South African school systems to get more info on schooling. Travel is another aspect of life that shouldn’t be ignored. Combine this with housing and employment because depending where you live and work, you could end up needing to commute for long periods of your day. All the major cities have good transport networks including buses and trains, and sometimes ferries and trams too. But the further out of the city you live, the more limited these options will become. In Perth, the city is spread mostly in a long line along the coast. This means our main freeway runs north to south and pretty much the whole city is on it at some point between 6am to 9am and again between 3pm and 6pm. The train in Perth is good, but you may have to take buses either side of your train journey, if you don’t work slap bang in the middle of the city. Add up your travel costs including parking at the train stations and it could cost as much as fuel if you were driving. Obviously the bigger the city the bigger the transport network, but for the most part, you’ll likely need a car even if you use public transport for getting to and from work. Have a look at Transperth for more info about the public transport system in Perth. Let’s face it, Perth doesn’t have the best reputation when it comes to nightlife. Many restaurants are closed by 9pm on weeknights. I’ve even been kicked out of a restaurant in Northbridge at 1:30pm on a Saturday so they could set up for dinner! But head to Melbourne and Sydney and I’m sure it’s a very different story. Don’t get me wrong, there are some awesome restaurants in Perth (and not all of them are in the city as some publications would have you believe!) like The Meat & Wine Co and Chapters Bistro. But it’s certainly no Cape Town or Joburg when it comes to going out for the night. Which brings me to lifestyle. What kind of life do you want to live in Australia? Are you coming over as a single, a couple, with friends, with a young family, with teenagers or in your more mature years? If you like going to cool new restaurants, hipster bars and seeing the latest shows, Perth and Adelaide might not be your first choice. If you have young kids and want a chilled upbringing for them, Melbourne and Sydney might not appeal as much as Brisbane or Perth. If you’re accustomed to visiting the latest exhibitions and theatre shows, you’re bound to want to live in one of the bigger cities in Australia. Prefer a quiet country life? Check out some of the regional areas of Australia like Geraldton, Bunbury and Margaret River in WA, Dubbo in NSW and Sale in Victoria. Everyone focuses on the main cities, but if you can work in a regional area or don’t need to earn megabucks, the country life could be perfect for you. What kind of travel expectations do you have? Are you wanting to travel internationally? Interstate? Not that much? Because Australia is so vast, travelling around it takes time. And money. It’s definitely not cheap to explore Australia. And as for travelling internationally, it’s so much cheaper to do so from the Eastern states than from WA. Because there is more demand and more competition, flights are more frequent and cheaper from cities like Sydney, Melbourne and Brisbane. Perth is obviously closer to South Africa and Europe, so flying times may be shorter but they come at a premium. Taking all these factors into account should help you narrow down your choices on where to live. 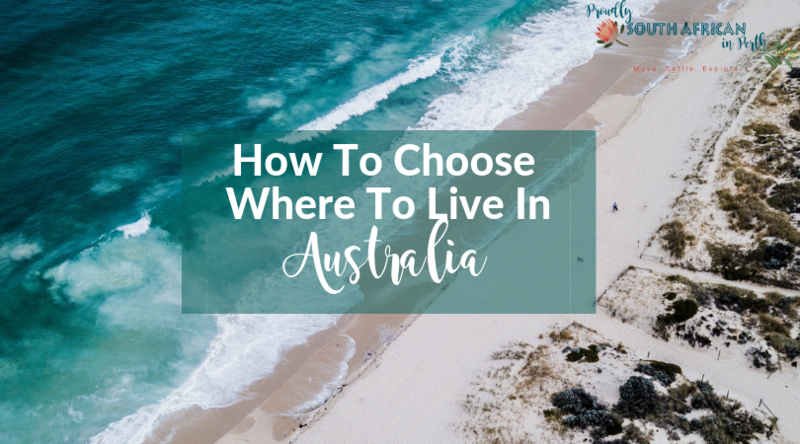 What are your top factors to consider when it comes to how to choose where to live in Australia? Hi Reva, thank you so so mich for this article. 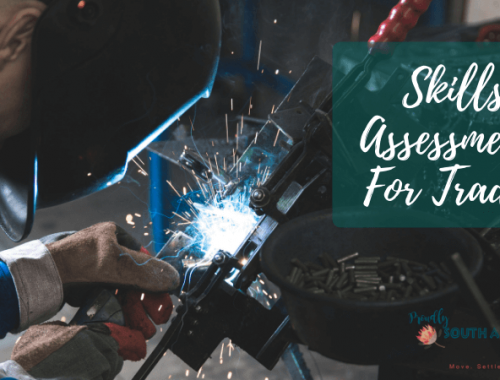 This article definitely lead to me making up my mind for one of the options i have for visas.